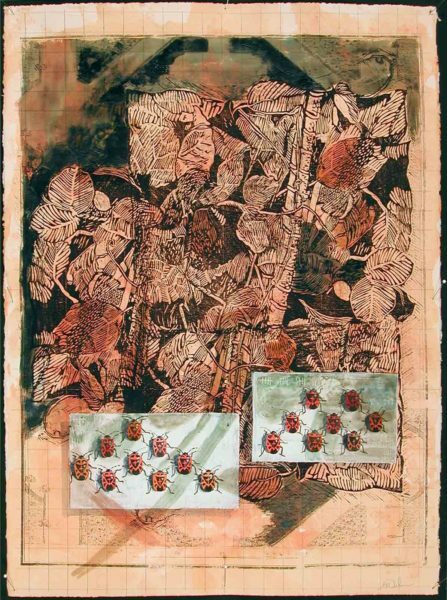 Gwen Diehn, Jardin des Plantes, 2001, watercolor, xerographic transfer, graphite. Museum purchase with funds provided by the Asheville Citizen-Times, 2002.11.03.60. Ignite or expand your drawing skills by combining layers of mark-making with acrylic paint, collage, ink, transfer, and transparency, and by drawing on a painted three-dimensional object. Explore combinations of wet and dry media, practice unusual background treatments, and learn to edit your work using reductive techniques. Weekly classes include slide talks examining contemporary drawing as well as masters from art history, many from the Museum’s Collection; work sessions; and individual discussions with the instructor. Space is limited; register by January 25. For more information and to register by phone, call 828.253.3227 x122.